The Dutch committee Oorlog is Geen Oplossing (War is No Solution) and the anti-militarist research group VD AMOK together with the international Network No to War – No to NATO are inviting you to a seminar on European militarism Sunday April 14th in Amsterdam. 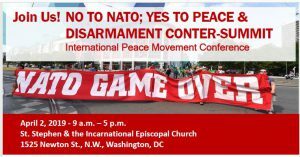 Speakers: Mark Akkerman (Stop Wapenhandel – Netherlands), Roger Cole (Peace and Neutrality Alliance – Ireland), Kathrin Vogler (MdB Die Linke – Germany). 3. 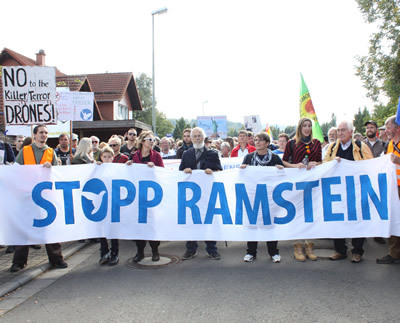 The action of the peace movement and the peaceful alternatives like an inclusive Europewide common security system. It would be great when you could attend the peace weekend in the Netherlands and take part in the debate. We will try to make some hotel arrangements in the neighbourhood and offer possibilities to stay at private adresses if needed. and we keep you posted.